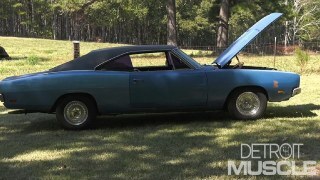 The guys drag a classic Chevy out of a hay barn, plus they show how to use rubberized coating and build furniture out of an old engine. 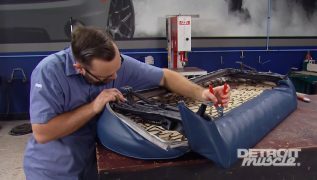 'The guys install a plethora of new body panels on their barn-find Chevelle. Marc and Tommy revamp tired factory ’72 Chevelle interior pieces. A frame-off Chevelle Barn find restoration continues with a dazzling metallic baby blue paint job. Learn how to setup a spray gun if you're interested in laying down color on your own ride. The Detroit Muscle guys install a brand new interior in their ’72 Chevelle project, including all the wiring and trim. Marc and Tommy wrap up the odd jobs that have to be taken care of under the hood of their 72 Chevelle Project, including the ignition system and Procharger accessory drive. 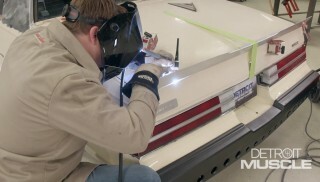 Marc and Tommy work on getting the 1972 Chevelle Supercharger Innercooler plumbed for a 1000 horsepower small block, and learn how to cut a run out of clear coat. The 1972 Chevelle barn find project needs a fuel system to support the 1000 horsepower engine, as well as an exhaust system to let it exhale and make that big power. 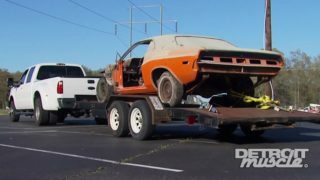 Marc and Tommy finish up the barn find Chevelle build and take it to a famous road in the Smoky Mountains and find a movie car museum along the way. Stainless-steel full-length brake line kit for 1970 Chevelle coupe models with drum brakes and 1971-1972 coupe models with disc or drum brakes. TURN AND STOP WITH THE BEST OF THEM. THE GUYS HAVE ALL THE GOODIES TO MAKE IT HAPPEN, SO STAY TUNED. 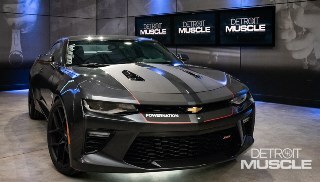 (MARC)>> HEY GUYS, WELCOME TO DETROIT MUSCLE. NOW WHEN THE TERM MUSCLE CAR'S TOSSED OUT THERE FOR A LOT OF YOU AT HOME, THE FIRST CAR THAT COMES TO MIND IS A CHEVELLE. SAME FOR US. WE ACTUALLY HAVE ONE OF OUR OWN HERE AND WE FOUND IT IN A BARN. 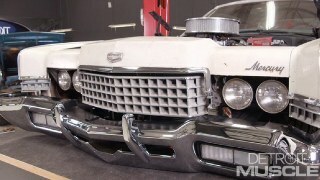 (TOMMY)>> THIS '72 MODEL HADN'T SEEN THE LIGHT OF DAY IN A FEW DECADES, BUT WE GOT HER LOADED UP ON THE TRAILER. THEN GAVE HER A BATH. THEN SHE WENT TO THE BLASTER, AND AFTER THAT WE PUT A NEW FLOOR IN HER. WITH THAT DONE THE NEXT THING WE'VE GOT TO DO IS GET THIS THING BACK TOGETHER BECAUSE I'VE GOT TO CUT THEM QUARTER PANELS OFF OF THAT BODY AND I CAN'T DO IT WITH IT ON THE ROTISSERIE. SO THAT WHENEVER WE GET THIS CAR BACK TOGETHER, AND MAKE IT A LITTLE EASIER TO MOVE IT AROUND IN THE SHOP, WE'VE GOT TO GET SOME WHEELS UNDER THIS THING. HARDWARE, BUSHINGS, AND SWAY BAR END LINKS. OF COURSE THE KIT WOULDN'T BE COMPLETE WITHOUT QA ONE'S DOUBLE ADJUSTABLE COIL OVERS. THIS IS FOR '68 TO '72 GM ABODIES, WHICH MEANS ITS NOT JUST FOR THE CHEVELLE. 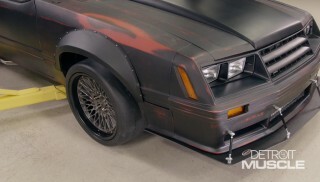 IT'LL ALSO FIT YOUR EL CAMINO, GTO, FOURFOURTWO, OR EVEN BUICK GS. THE FIRST THING WE'RE GONNA INSTALL ARE THE LOWER AARMS. URETHANE BUSHINGS TO MAKE INSTALLATION A BIT EASIER. ONCE IT'S APPLIED TO ALL THE OUTSIDE SURFACES, THE AARMS CAN BE INSTALLED WITH THE HELP OF A DEAD BLOW HAMMER. USING THE INCLUDED HARDWARE, WE INSTALL THE BOLTS AND INSTALL THE NUTS HAND TIGHT. THESE UPPER AARMS, THERE'S ACTUALLY TWO WAYS TO INSTALL THE CROSS SHAFT. ON THE SHALLOW SIDE THIS IS A STOCK LOCATION. NOW THE OTHER SIDE THIS IS A DEEPER CUTOUT. IT ACTUALLY GIVES YOU AN EIGHTH INCH MORE, WHICH GIVES YOU MORE ADJUSTMENT FOR NEGATIVE CAMBER. WE'RE ACTUALLY GONNA USE THE ONE WITH THE STOP BECAUSE THIS IS GONNA BE A STREET CAR. THE CROSS SHAFT INSTALLS IN THE STOCK LOCATION USING THE INCLUDED BOLTS. IT'S TIME TO START ASSEMBLING OUR FRONT SHOCKS. THE FIRST THING TO GO ON IS THIS LOCK NUT. WE'RE GONNA RUN THIS ALL THE WAY DOWN UNTIL IT'S AT THE BOTTOM OF THE THREADS. NO FARTHER THAN THAT. THE NEXT THING IS GONNA BE THE SPRING SEAT. THAT'S NOT WHERE THEY'RE GONNA BE AT RIDE HEIGHT ANYWAY. THOSE ARE ACTUALLY GONNA BE TOO LOW. SO NOW'S A GOOD TIME TO LUBRICATE THOSE THREADS WITH SOME ANTISEIZE. THIS IS A REALLY IMPORTANT PART BECAUSE IF YOU DON'T LUBRICATE THESE THREADS IT CAN CAUSE GALLING ON THIS ALUMINUM SHOCK BODY, AND THAT'LL VOID YOUR WARRANTY ON YOUR SHOCK, AND THAT'LL BE BAD BECAUSE YOU WON'T BE ABLE TO ADJUST YOUR RIDE HEIGHT. ANOTHER THING IS WE'RE USING A NICKEL BASED ANTISEIZE HERE AND NOT A COPPER BASE. THAT WAY IT BLENDS IN WITH THE SHOCK BODY AND LOOKS A LOT NICER THAN THE COPPER WOULD. WE'RE ALSO GONNA PUT ANTISEIZE ON THIS THRUST WASHER HERE. NOW WE COULD JUST USE THE THRUST WASHER AND THEN PUT THE SPRING ON TOP OF IT, BUT WE'RE ACTUALLY GONNA BE USING A THRUST BEARING AS WELL. SO THE THRUST WASHER GOES ON FIRST. THEN THE THRUST BEARING. THEN WE'LL ANTISEIZE THIS OTHER THRUST WASHER, AND IT GOES ON AS WELL. AND THAT'S WHERE YOUR SPRING SITS. (TOMMY)>> THE SHOCK GETS ITS UPPER MOUNT BUSHING, AND AFTER WE SLIDE ON THE SPRING, THE ASSEMBLY SLIPS INTO THE STOCK LOCATION AND GETS ATTACHED TO THE FRAME WITH THE BUSHING AND NUT. THE LOWER MOUNT ON THE COIL OVER GETS ATTACHED USING THIS ADAPTER BRACKET. IT BOLTS TO THE LOWER SHOCK MOUNT AND GETS DROPPED INTO THE POCKET ON THE LOWER CONTROL ARM. FOUR BOLTS ATTACH THE ADAPTER BRACKET TO THE AARM AND GET CINCHED DOWN. AND THEY COME PRETTY LOOSE. SO WE NEED TO GET SOME PRELOAD ADJUSTED IN HERE. IT COMES WITH ALL THE TOOLS YOU NEED TO DO IT, AND THE FIRST TOOL IS THIS SPANNER WRENCH HERE. WE'RE JUST GONNA LOOSEN THIS LOCK NUT FIRST. WANT TO PUT A LITTLE MORE PRETENSION ON THAT. THEN WE JUST HOLD THE HEX KEY AND TIGHTEN THAT LOCK NUT. FOR SOME NEW ONES. FOR REPLACEMENT SPINDLES WE JUST CALLED UP SUMMIT RACING AND THEY HAD EXACTLY WHAT WE WERE NEEDING. WE WENT AHEAD AND SPRAYED ON A COAT OF THAT DUPLICOLOR CAST COAT TO KEEP THIS THING FROM RUSTING. 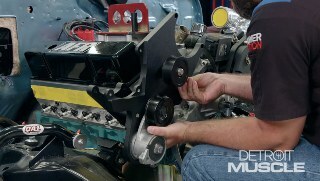 NOW ONE THING TO KEEP IN MIND, BEFORE YOU INSTALL THIS SPINDLE IS TO INDEX YOUR BALL JOINTS. THAT MAY NOT SOUND LIKE MUCH BUT DOING THIS LITTLE TIP CAN MAKE IT A LOT EASIER TO GET THAT COTTER PIN IN OR OUT LATER DOWN THE ROAD. THESE NEW SPINDLES ARE JUST LIKE THE ORIGINALS, AND SLIP RIGHT ONTO OUR BALL JOINTS. STARTING WITH THE LOWER, WE ATTACH IT WITH THE STANDARD CASTLE NUT, WHICH GETS TIGHTENED AND SECURED WITH A COTTER PIN. THE SAME GOES FOR THE TOP, JUST TIGHTEN THAT NUT AND INSTALL A COTTER PIN TO KEEP IT IN PLACE. AFTERMARKET BRAKE SYSTEM AS WELL AS ADAPTING BRACKETS TO ACCEPT A BEEFED UP REAR END. (TOMMY)>> HEY GUYS, THANKS FOR COMING BACK TO SEE US. WHILE YOU WERE GONE I BOLTED IN THE SWAY BAR BUT I'M GONNA HAVE TO WAIT TO PUT THE LINK ON IT UNTIL WE GET THIS THING SITTING ON THE GROUND CAUSE I NEED THAT CONTROL ARM TO COME UP JUST A BIT, BUT THAT'S NO BIG DEAL. SO THE NEXT THING TO DO THAT WE NEED TO PUT SOME BRAKES ON THIS THING, AND MISTER MARC OVER THERE, HE'S GOT SOMETHING HE WANTS TO SHOW YOU. (MARC)>> SINCE OUR CHEVELLE WAS ORIGINALLY EQUIPPED WITH DRUM BRAKES ALL THE WAY AROUND WE DECIDED TO UPGRADE TO AFTERMARKET DISC BRAKES. BRAKE HOSE, ALL THE MOUNTING HARDWARE, AND THIS HUB THAT MOUNTS TO OUR STOCK SPINDLE. FIRST THING THOUGH, CALIPER BRACKET. THIS ALUMINUM BRACKET IS SIDE SPECIFIC. SO MAKE SURE YOU HAVE THE RIGHT ONE. NOT GOING ANYWHERE. THE ADAPTER PLATE IS NEXT, WHICH CAN BE TIGHTENED FOR NOW, BUT WE'LL NEED TO SHIM IT UP LATER. THE HUBS COME FULLY ASSEMBLED WITH PREPACKED BEARINGS ALREADY INSIDE. IT'S FOLLOWED UP BY THE CASTLE NUT. THEN A TRUSTY OLE COTTER PIN AND A FANCY ALUMINUM DUST CAP. THE ROTOR CAN THEN GO ON AND BE HELD IN PLACE WITH A LUG NUT OR TWO. THE CALIPER SITS ON THE ADAPTER PLATE AND GETS SNUGGED DOWN FOR NOW. AS YOU CAN SEE HERE, THERE'S MORE GAP ON THE INSIDE OF THE ROTOR THAN THERE IS ON THE OUTSIDE. SO WE NEED TO SHIM THAT CALIPER OUT. JUST NEED TO TAKE SOME MEASUREMENTS, SEE HOW FAR WE NEED TO SHIM IT. (TOMMY)>> WE'LL TAKE A COUPLE OF MEASUREMENTS ON EACH SIDE AND GET AN AVERAGE. THE FIRST MEASUREMENT IS 751 THOUSANDTHS, FOLLOWED BY 765. ON THE OTHER SIDE 563. WITH ABOUT 200 THOUSANDTHS DIFFERENCE WE'RE GOING TO REMOVE THE CALIPER, LOOSEN THE CALIPER ADAPTER PLATE, AND INSTALL 100 THOUSANDTHS IN SPACERS BETWEEN THE CALIPER BRACKET AND THE ADAPTER PLATE. 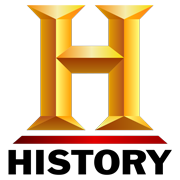 (MARC)>> OUR NEW MEASUREMENTS RANGED FROM 651 THOUSANDTHS TO 665 THOUSANDTHS. (TOMMY)>> WITH THE BRAKES BUTTONED UP WE'RE GONNA MOVE ON TO THE STEERING. SO WE WENT TO YEAR ONE AND GOT US A QUICK RATIO STEERING BOX. THIS HAS GOT A 12 TO ONE RATIO. IT'LL TURN FROM LOCK TO LOCK IN TWO AND THREE QUARTER TURNS. WHAT THAT MEANS IS THAT'LL HELP THIS OLE CHEVELLE WHENEVER YOU START SNATCHING ON THAT STEERING WHEEL. I'M GONNA GO AHEAD AND GET THIS STUFF BOLTED IN, SEE Y'ALL IN A FEW. (ANNOUNCER)>> STICK AROUND AND WE'LL GET OUR NEW REAR END PLUGGED INTO OUR CHEVELLE CHASSIS. (MARC)>> HEY WELCOME BACK. WHILE YOU WERE GONE WE GOT OUR BRAND NEW REAR END BUSTED OUT OF THE CRATE AND WE'VE GOT IT HERE IN THE PAINT BOOTH. END FOR THE ABODY. SO IT'S GOT ALL THE PROVISIONS AND MOUNTS TO BOLT DIRECTLY INTO YOUR CHEVELLE, EL CAMINO, GTO, OR ANY OTHER ABODY OF THAT ERA. WE GOT OURS WITH THE FABRICATED FNINE HOUSING AND BACK BRACE, 35 SPLINE TRUE TRACK DIFFERENTIAL, OF COURSE 35 SPLINE AXLES, AND THE PROVISIONS FOR THOSE BAER BRAKES. NOW WHEN WE ORDERED OURS WE ORDERED THEM BARE BECAUSE WE WEREN'T SURE WHAT COLOR WE WERE GONNA GO WITH AT THE TIME. SO NOW WE JUST NEED TO GET THIS THING CLEANED UP, GET A COUPLE OF COATS OF PAINT ON IT TO PROTECT IT FROM THE ELEMENTS. SINCE THE REAR END CAME WITH THE AXLES ALREADY INSTALLED WE'RE GONNA PULL THOSE OUT FIRST, FOLLOWED BY THE TBOLTS AND BUMP STOPS. A LITTLE BIT OF BRAKE PARTS CLEANER AND A SCOTT SHOP TOWEL WILL CLEAN OFF ALL THE OIL AND RESIDUE THAT WOULD KEEP OUR PAINT FROM STICKING. (MARC)>> TO COAT OUR REAR END WE DECIDED TO GO WITH VHT'S HIGH TEMPERATURE ROLL BAR AND CHASSIS PAINT. NOW THIS IS IDEAL FOR THIS BECAUSE OUR REAR END'S BARE AND THIS DOESN'T REQUIRE THE USE OF A PRIMER. IT'S GONNA KEEP CORROSION, RUST, AND CHEMICALS FROM GETTING INTO THAT REAR END HOUSING. THE FIRST COAT NEEDS TO BE SPRAYED ON LIGHT AND EVENLY TO PROVIDE A GOOD SURFACE FOR THE OTHER COATS TO STICK TO. WE'RE USING OUR PAINT BOTH BUT YOU CAN USE A WELL VENTILATED AREA OF YOUR CHOICE TO DO THIS JOB. AFTER A 10 MINUTE FLASH TIME THE SECOND COAT CAN GO ON. THIS IS A MEDIUM COAT THAT SHOULD PROVIDE US PLENTY OF COVERAGE BUT WE'LL GO AHEAD WITH A THIRD COAT JUST FOR GOOD MEASURE. LINE US UP TO DRILL OUT THE FRAME FOR OUR THIRD BOLT. TELL ME WHEN BIG GUY. THE UPPER CONTROL ARMS SLIDE ONTO THE MOUNTS ATTACHED TO THE REAR END AND BOLT INTO PLACE. 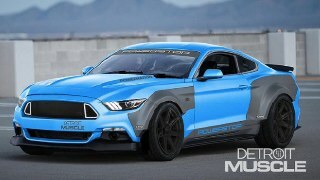 (ANNOUNCER)>> DETROIT MUSCLE PRESENTS BACK TO BASICS. TIPS FOR THE BEGINNER GEAR HEAD. (MARC)>> WHEN YOU'RE DOING A FULL SUSPENSION INSTALL LIKE WE'RE DOING ON OUR CHEVELLE, THERE'S A LOT OF THINGS TO TAKE INTO CONSIDERATION. THE FIRST TYPE IS RUBBER STOCK STYLE BUSHINGS. THESE ARE GOOD BECAUSE THE RIDE QUALITY IS REALLY NICE AND YOU DON'T HAVE TO LUBRICATE THEM, BUT OVER TIME THEY LIKE TO DRY ROT AND CRACK, AND THERE'S A LOT OF DEFLECTION BUILT INTO THOSE, ESPECIALLY IN A HIGH PERFORMANCE APPLICATION. ON THE OTHER END OF THE SPECTRUM ARE SOLID MOUNTS, LIKE THIS SOLID ROD END HERE. THESE ARE GREAT BECAUSE THERE'S ABSOLUTELY NO DEFLECTION BUILT IN. SO THIS IS GOOD FOR LIKE A RACE CAR. THE PROBLEM IS YOU'RE GONNA FEEL EVERY LITTLE BUMP IN THE ROAD. SO THERE'S GOT TO BE SOMETHING IN THE MIDDLE. THAT'S WHERE THESE URETHANE BUSHINGS COME IN. THEY HAVE ALL THE BENEFITS OF A STOCK STYLE MOUNT BUT WITHOUT ALL THE DEFLECTION. YOU'VE GOT TO MAKE SURE YOU LUBE THEM UP BECAUSE IF YOU DON'T, WHEN YOU INSTALL THEM, THEY'RE GONNA MAKE SOME NOISE AND THAT'S WHY THEY GET A BAD WRAP. WITH OUR LOWERS BOLTED IN AS WELL, ALL OF OUR CONTROL ARMS CAN BE TIGHTENED. 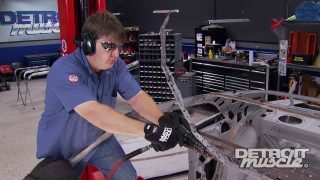 (TOMMY)>> NOW IT'S TIME FOR OUR REAR COIL OVERS TO MOUNT TO THOSE BRACKETS THAT WE INSTALLED EARLIER. THE REAR SWAY BAR IS NEXT, AND WITH A LITTLE BIT OF PERSUASION BOLTS TO THE LOWER CONTROL ARM AND GETS TIGHTENED DOWN. WE ADDED THE BAER BRAKES AND OUR REAR IS READY TO ROLL. 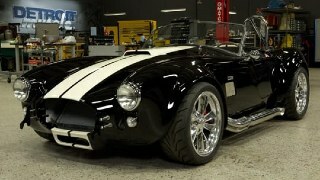 MOUNT BRAKE LINES FOR GREAT LOOKS AND RELIABILITY. A FULL STAINLESS STEEL KIT FOR A '68 TO '72. WITH IT BEING STAINLESS STEEL YOU DON'T HAVE TO WORRY ABOUT IT RUSTING OR ANYTHING LIKE THAT, AND IT'S GONNA STAY LOOKING GOOD FOR A LONG TIME. 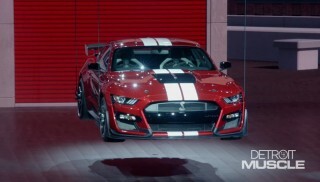 THE KIT INCLUDES BOTH OF THEM FOR THE REAR AXLE, THE LINE THAT RUNS FROM THE FRONT TO THE REAR OF THE CAR, BOTH UP FRONT LEFT AND RIGHT, AND THE ONES THAT RUN DOWN FROM THE MASTER CYLINDER. NOW WE'RE NOT GONNA WORRY ABOUT INSTALLING THESE QUITE YET BECAUSE WE'RE GONNA HAVE TO INSTALL AN ADJUSTABLE PROPORTIONING VALVE, BUT WE'LL CROSS THAT BRIDGE LATER DOWN THE ROAD. THE FIRST LINE WE'RE GONNA INSTALL IS THE LONG ONE THAT RUNS ALONG THE FRAME RAIL FROM THE FRONT TO THE BACK OF THE CAR. STRAP IT TO THE FRAME, WE'RE TAPPING OUT EXISTING HOLES SO THAT WE CAN FASTEN THE LINES WITH A CUSHION CLAMP AND ARP HARDWARE. WE'LL DO THIS ALL THE WAY DOWN IN THE SAME LOCATIONS THAT THE ORIGINAL MOUNTS WERE LOCATED. THEN WE'LL GIVE THE REST OF OUR LINES THE SAME TREATMENT. SON! 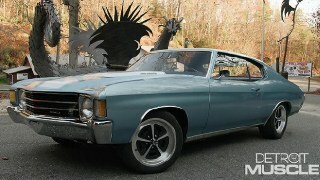 (MARC)>> WHEN IT CAME TO WHEELS AND TIRES FOR OUR CHEVELLE WE WANTED TO GO WITH SOMETHING WITH A STOCK LOOK BUT WITH A TWIST. SO WE WENT TO YEAR ONE FOR A SET OF THEIR EXCLUSIVE 17 INCH MAGNUMS. THESE ARE REPRODUCTIONS OF THE ORIGINALS BUT IN A LARGER DIAMETER. LEARN ABOUT THAT LATER. OF COURSE WE PREMEASURED FOR THESE VERY WHEELS WHEN WE ORDERED OUR BRAKES. SO WE DON'T HAVE TO WORRY ABOUT ANY CLEARANCE ISSUES HERE. WELL THAT DOES IT FOR OUR CHEVELLE'S CHASSIS, AND I HAVE TO SAY IT LOOKS REALLY GOOD. FROM THAT FRESHLY POWDER COATED FRAME TO THAT BULLET PROOF REAR END AND ALL THOSE NEW SUSPENSION COMPONENTS THAT HOLD IT TOGETHER. (TOMMY)>> YEAH WE STILL HAVE A WHOLE LOT OF WORK TO BE DONE ON THE BODY ITSELF. WE'VE GOT THE RUST REPAIR WE HAVE TO STILL DO, NOT TO MENTION ALL THAT SANDING, AND BODY WORK, AND PAINT, BUT THAT'S GONNA HAVE TO COME A LITTLE LATER DOWN THE ROAD. BUT I HAVE TO SAY THE CHASSIS TURNED OUT SUPER SWEET. WHAT DO YOU THINK? (MARC)>> I THINK IT LOOKS GREAT, LET'S LEAVE IT UNDER THE LIGHTS FOR A WHILE. (MARC)>> THERE'S NOTHING WORSE THAN GOING OUT TO THE GARAGE AND HITTING THE KEY ON YOUR RIDE ONLY TO HAVE NOTHING HAPPEN. WELL THE WAY TO FIX THAT IS TO GET YOURSELF ONE OF THESE OPTIMA RED TOP BATTERIES. THE RED TOP DELIVERS A SUPER STRONG FIVE SECOND BURST OF STARTING POWER AND OUTLASTS TRADITIONAL BATTERIES IN DEMANDING CRANKING AND STARTING APPLICATIONS BY UP TO THREE TIMES. IT'S VIRTUALLY SPILL PROOF, CAN BE MOUNTED IN ANY DIRECTION, AND RECHARGES FASTER THAN YOUR RUN OF THE MILL BATTERY. THAT MAY PEAK YOUR INTEREST. IT'S A BODY BUSHING KIT FROM ORIGINAL PARTS GROUP. THE KIT INCLUDES EVERYTHING YOU NEED TO MOUNT THE BODY TO THE CHASSIS, INCLUDING THE UPPER AND LOWER CUSHIONS, WASHERS, AND HARDWARE. ALSO THEY'VE DONE THEIR HOMEWORK TO SAVE YOU TIME BY NUMBERING EVERY BUSHING, AND INCLUDING A CHART TO TELL YOU WHERE EACH ONE GOES. AND FOR YOU CHALK MARK GUYS OUT THERE THESE STEEL INSERTS HAVE THAT FACTORY ZINC COATING THAT YOU'LL BE LOOKING FOR. WE'RE ALL OUT OF TIME FOR NOW. SO UNTIL NEXT TIME, Y'ALL KEEP IT BETWEEN THE DITCHES.